French toyboy PM Macron, who wants to “reform Islam”, commissioned a French-Tunesian Moslem to write him a report on why Mohammedans don’t assimilate. The “expert” came back with a report saying “radical Salfism” is the problem. “Radical Salafism” is just Islam 101. Salafism is Islam of the Quran & of Muhammad, the “perfect man”. The people who wrote the report for Macron are clueless. How many versions of Islam do they think exist? A school of Sunni Islam that condemns theological innovation and advocates strict adherence to shari’a and to the social structures existing in the earliest days of Islam. A Moslem who doesn’t follow that school of thought is considered a murtad, a renegade, or if you prefer, a heretic. You know what happens to them. El Karaoui also looked into the influence of foreign actors in the French Islamic scene and found that two countries, Turkey and Saudi Arabia, had used their funding of imams and mosques to disseminate more radical intellectual strains of Islam and the political ideology of Islamism to great effect among France’s Muslims. In addition, the report mentions the progression of Islam in France, noting the successes of bloggers wearing the hijab as well as “halal” versions of ridesharing apps like Blablacar saying, “if you are a boy, the car will be driven by a man, if you are a woman, she will be driven by a woman,” and even a halal version of Airbnb. In order to stop the fracturing of French society, El Karaoui concluded that France must set up a neutral national Muslim organisation that could take over training of imams and dispense with the need for overseas funding for mosques and other projects from countries like Turkey and Saudi Arabia. Radicalisation, particularly of Muslims living in the suburbs around major cities like Paris, has been blamed for a wave of terror attacks including the Charlie Hebdo and Bataclan massacres in 2015, as well as multiple attacks on police officers and soldiers throughout 2017 and 2018. 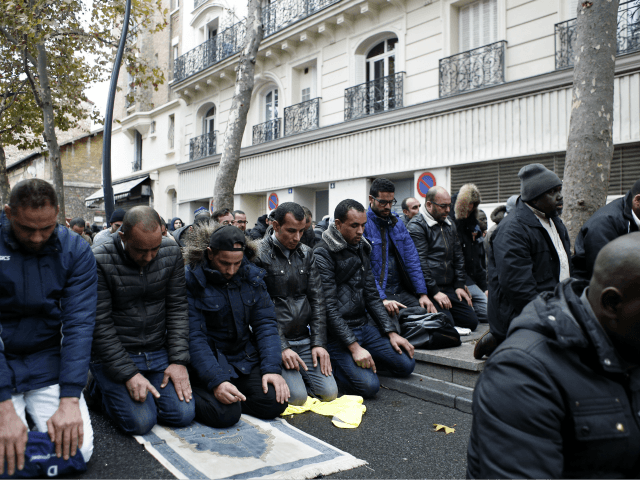 A new report on Islam in France attempts to confront the spread of jihad ideology and how to assimilate Muslims into French society. Key concerns include the involvement of foreign funders – especially Saudi and Turkish – of Islamic entities, and the fact many Muslims learn Arabic not at school but in the mosques. Western nations do not need Islamic organizations supervising issues “linked to the Islam faith.” Nor are large numbers of Muslims likely to accept such organizations. Western authorities need to be monitoring Islamic institutions for the safety and well-being of all citizens. Knowing that this is simply not possible, why not shut down the mosques, deport the preachers along with their brood and their whole fan club? Paris (CNSNews.com) – A new report on Islam in France is stoking debate between those who believe its proposals will help counter the spread of radical thought, and those concerned that they would work against attempts to assimilate Muslims into French society. Coming at a time when many European countries continue to grapple with issues of Islamist radicalization, the report is now under consideration by President Emmanuel Macron, who told lawmakers in July that he plans to take decisions on the organization of French Islam in the fall. The report’s author is Hakim El Karoui, an expert on Islam and senior fellow at the Paris-based thinktank, Institut Montaigne. He said in media interviews this week that foreign countries in the Muslim world have too much influence with French Muslims, and that the time to act is now. In the report’s crosshairs is Salafism, the theology that underpins extremist interpretations of Islam. Key concerns include the involvement of foreign funders – especially Saudi and Turkish – of Islamic entities, and the fact many Muslims learn Arabic not at school but in the mosques. The report proposes the creation of an independent French Islamic organization that will supervise all issues linked to the Islam faith, and promote the learning of Arabic at schools. It also suggests a tax on halal products, to finance the envisaged new organization, build and maintain mosques, and train and pay imams – rather than expose French Muslims to foreign funding and influences. El Karoui said the envisaged new Muslim Association for Islam in France would be totally independent of Muslim countries. It would collect the halal products’ taxes to finance Islam in France, organize and control French Muslims’ annual pilgrimage to Mecca, and work to limit the influence of Salafists in France. 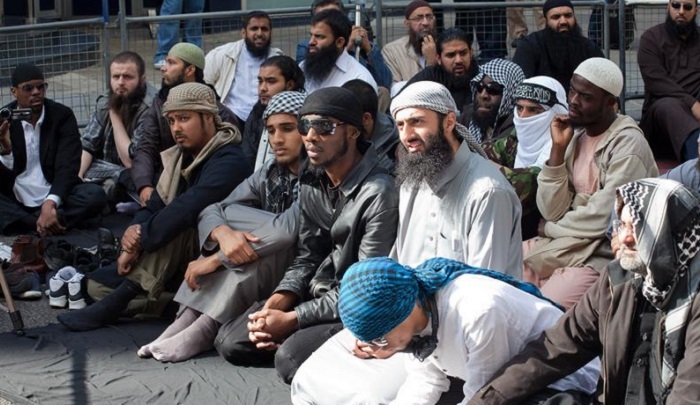 “The number of Salafists [in France] is growing and they have a kind of monopoly in the Muslim discourse,” he said, adding that Muslims under 35 years of age are especially affected……. Nothing new that wasn’t expected. More new that is expected thanks to EU Merkelian Macronism.